Ride and Read! NEWS by Madness Photography - Onno "Berserk" Wieringa: Legends Ride Auction Sturgis Rally. 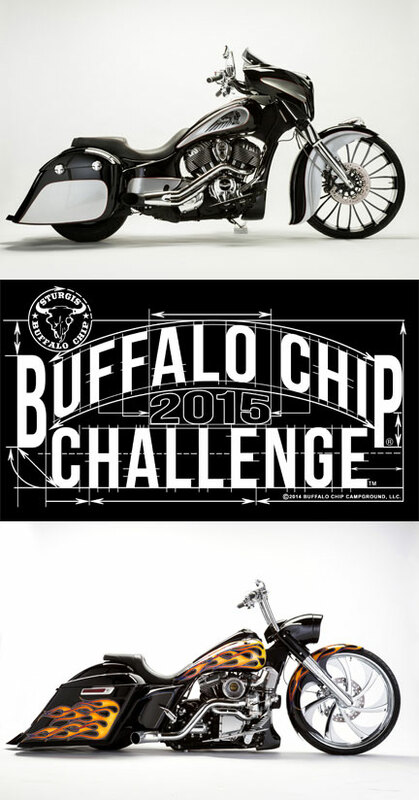 These two custom motorcycles will be facing off at the Legends Ride Auction during the Sturgis Rally. 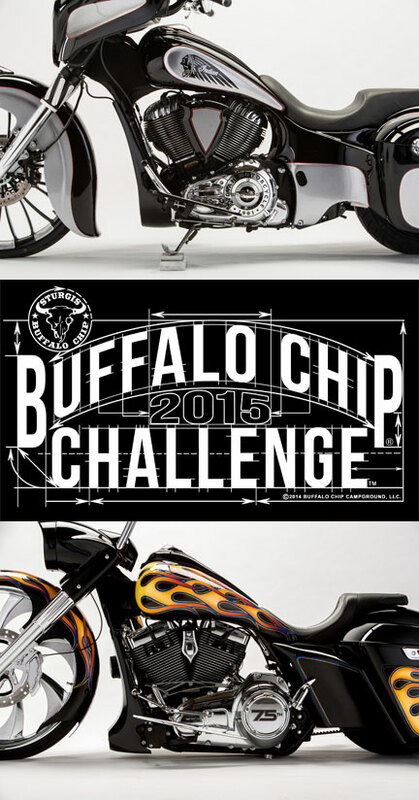 When motorcycle leaders like John Shope of Dirty Bird Concepts and Paul Yaffe of Bagger Nation put their stamp on a custom motorcycle, you know it’s going to turn some heads. That’s exactly what they’ve done with these two bikes built by two teams of Black Hills area high school students led by Program Coordinator Keith Terry of Terry Components in the Buffalo Chip Challenge™. 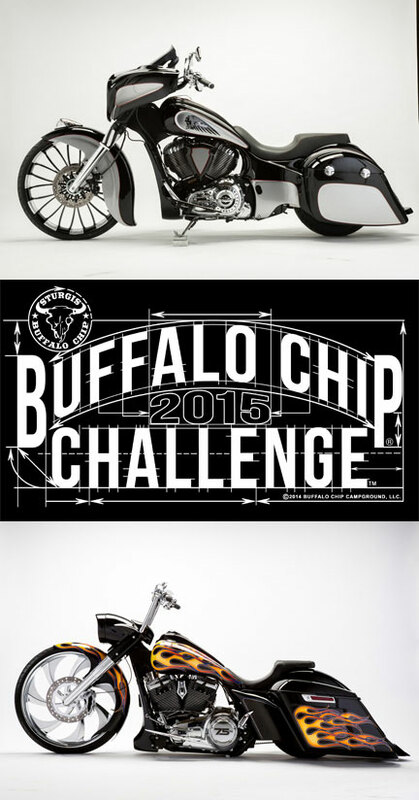 Team Shope featured a 2014 Indian Chieftain customized under the guidance of Chris Malo from Baggster. 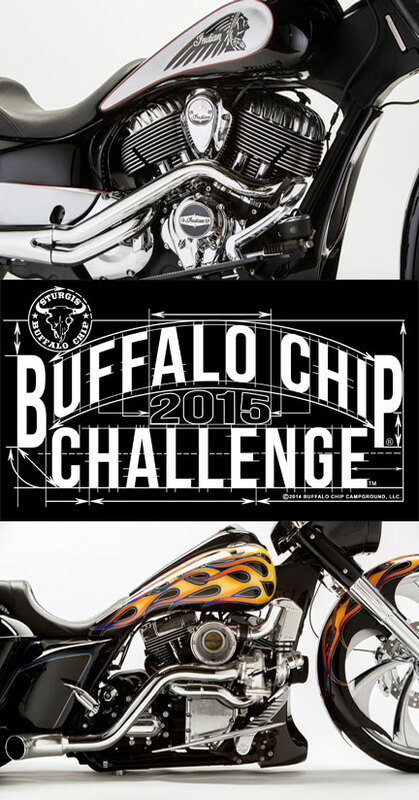 Team Yaffe, supervised by Nick and Randy Cramer from Dakota V-Twin, customized a 2014 Harley-Davidson Road King. The bikes are now completed and ready to be auctioned off at the Legends Ride. Check out the comparison photos below and make sure you’ve got a bib for when you inevitably begin to salivate uncontrollably. On top, chrome from Black Hills Plating and air cleaner and exhaust from John Shope’s Dirty Bird Concepts adorn the Indian. Down below, the Harley’s engine is extensively modified–featuring a turbo kit from Trask Performance to grab your eye and add some serious boost! 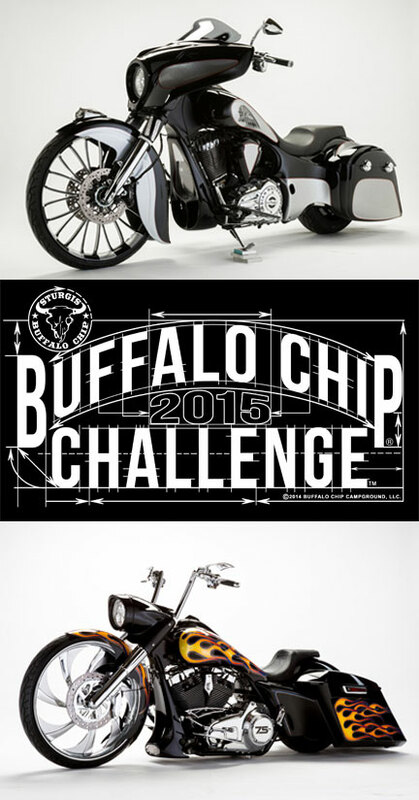 The Indian features a 26” front wheel from RC Components and is decked out in accessories from Dirty Bird Customs. The Harley features a 26” front wheel, also from RC Components, and is done up with accessories from Paul Yaffe’s Bagger Nation and a seat from Danny Gray. Both bikes have a rear air ride suspension system. So when you pull up to park, you’ll turn more than a few heads when you drop these babies to the ground. Check out the engines from the left side, and get a load of the paint jobs. Jamie Denholm of Jamie’s Repair applied the black on silver metal flake with burgundy pinstripe covering the Indian, in addition to laying down the gloss-black base coat on the Harley. Dave Perewitz of Perewitz Cycle Fab provided the custom flame job to turn up the heat. Stay vertical and keep your eye on your surroundings with mirrors from Indian of Sturgis while jamming to an aftermarket MTX Audio system. 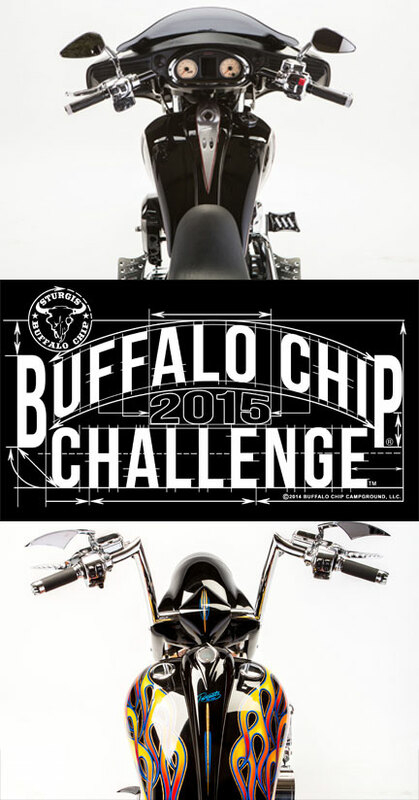 Or, picture yourself sitting low on the aggressive and minimalist Harley, scanning your six through sharp mirrors from Paul Yaffe’s Bagger Nation. Drink them both in. Have you ever been faced with a more difficult decision? 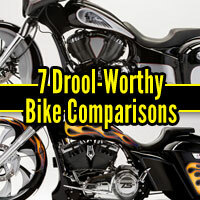 Savor the view of these custom motorcycles. I want to see all the specs for these bikes! You can go on a lot of rides when you’re visiting the Sturgis Rally, but the Legends Ride is THE Ride that Rocks™. These two custom motorcycles will be up on the Legends Ride auction block, begging to go home with the highest bidder. Where will you be when these two legends collide? 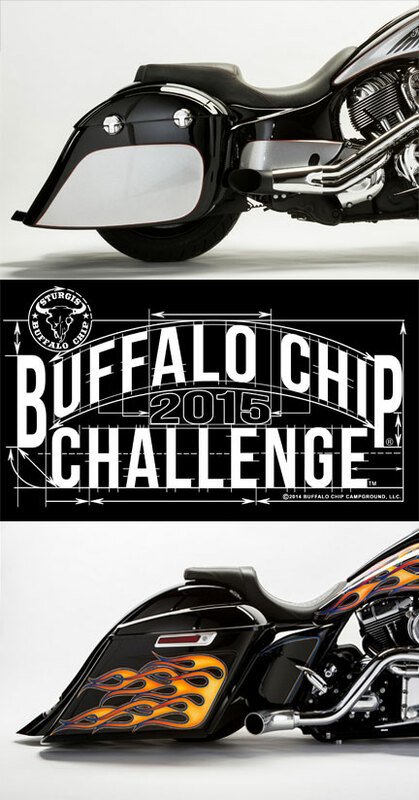 Don’t miss your chance to take home one or both of the sickest bikes at the Sturgis Rally. Reserve your spot on the Legends Ride now while there’s still a few left!